We have all experienced a time in life when someone has said “thank you” for something that we have done and, although it’s a phrase we learn from a young age, it often means more in a certain context than we think. Since Mother’s Day is coming up, have you thought about when you said “thank you” to your mom last? Our moms do so much for us! If you don’t have a mom, that’s OK! You might be a mom to someone, a mom to a pet, or a mother like figure to a friend or neighbor in need. When was the last time you said “thank you” to your mom? If you can’t answer that question, it might be time to send a note or make a call. For friends, family, coworkers and others we come in contact with, sometimes a simple “thank you” is needed, for both big things and small things. Big things such as helping with a move or getting through a really hard time in life and the small things such as holding the door open for someone or complementing the way that someone looks. 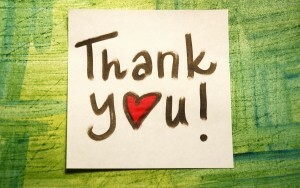 There is really no task or comment too small or too big that can escape the need for a “thank you”. 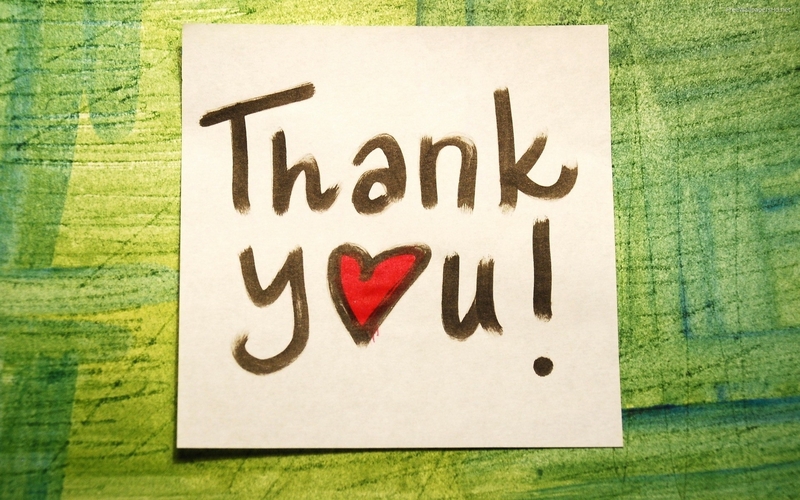 When you deliver a “thank you,” make sure that you are being sincere. Look the person in the eyes (if you are in person) and let them know how much they mean to you. Sometimes the words “thank you” are enough and don’t need followed by any explanation, while other times it’s appropriate to let the person know why you are so grateful for them. Thank you should also be timely! Don’t let too much time pass from when someone does something nice for you and when you thank them. Perhaps it’s even a “thank you” note or immediately after a sincere gesture or invitation to a dinner, say “thank you”. Whatever place you are in life, please keep these two little words with you not only for this coming Mother’s Day, but as you go through your weeks ahead. You never know when someone might need some encouragement through words or thoughts. It’s truly amazing what a simple phrase can do!